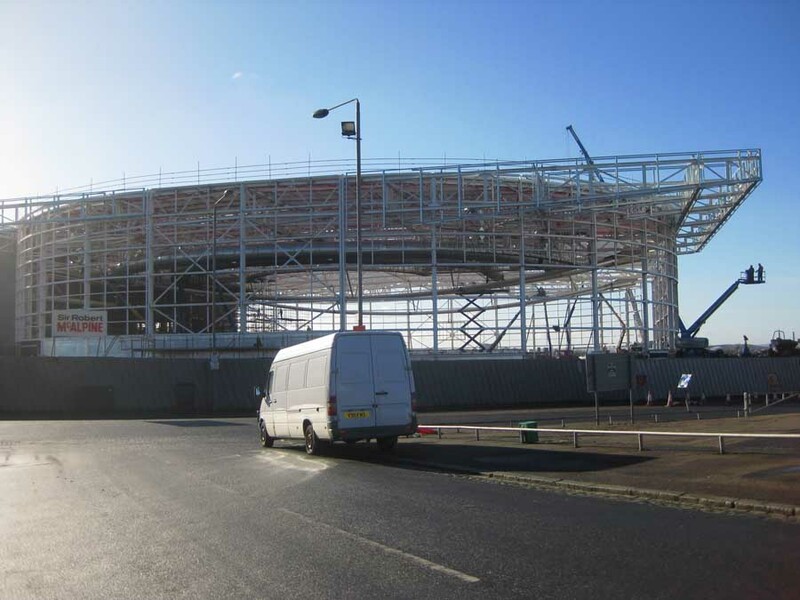 The construction of Scotland’s newest Sikh Gurdwara is rapidly progressing and is due to open in Glasgow on the 28th April 2013, a mere 14 months since construction began. 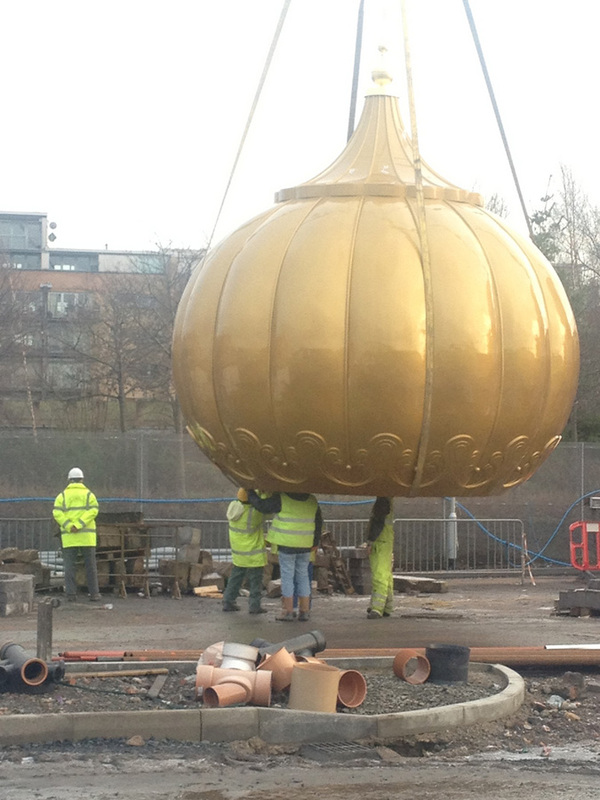 The £4m complex situated at 25 Albert Drive, Pollokshields, reached an important milestone at the end of 2012, when the building was crowned with a large gold dome at the centre of the roof, marking the highest peak of the building. 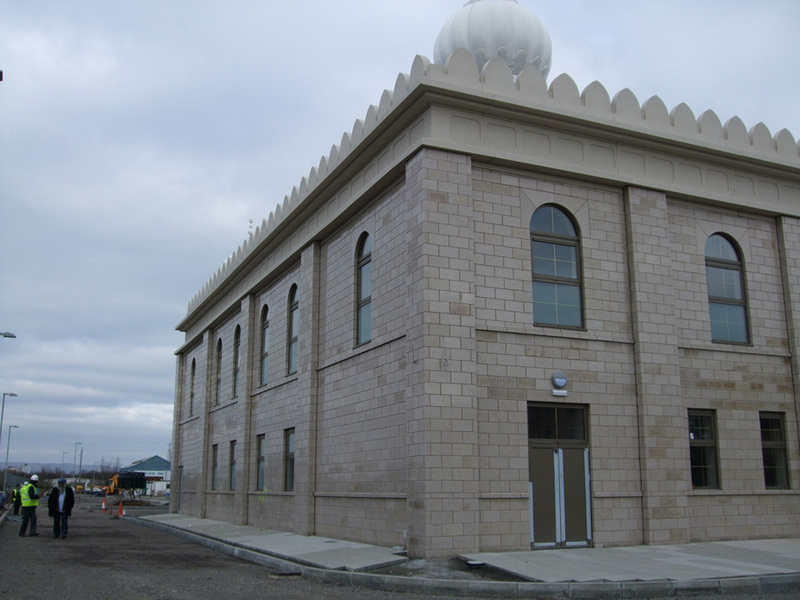 The Gurdwara (meaning “through the Guru”), is the first purpose-built facility for Sikhs in Scotland and has less than 100 days until completion. Architectural plans have been updated since we last reported on this build in February 2012 and the new structure designed by CRGP will now also include off-street parking for up to 100 cars. Situated next to the Tramway theatre and adjacent to ‘The Hidden Gardens’, the Gurdwara is a shining addition to one of Glasgow’s most vibrant and multicultural streets. 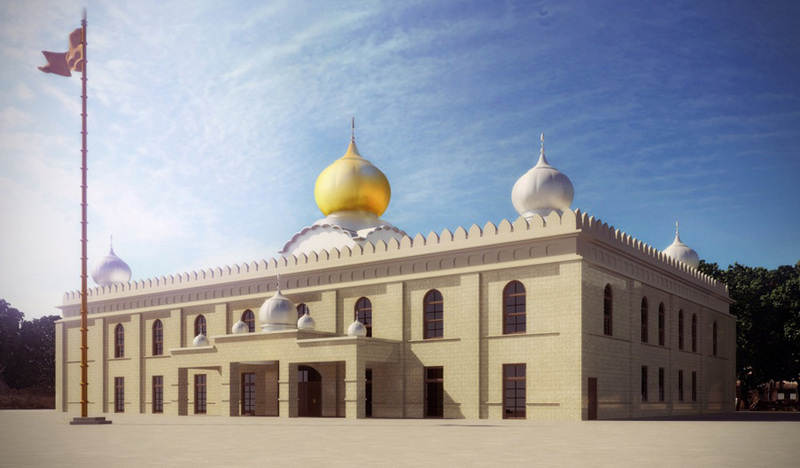 The new Gurdwara will be a hub of activity for Glasgow’s Southside community, with facilities for congregational prayer, language classes, provision of Langar (free community kitchen) and a social space. The Glasgow Gurdwara will have a capacity of 1,000. 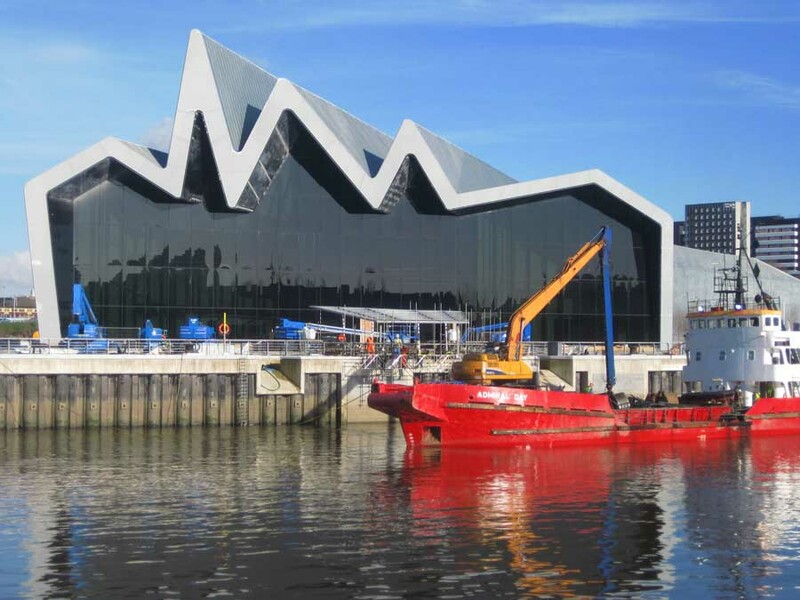 There will be a public opening ceremony on Sunday 28th April and will be open to all. The local Sikh community in the Pollokshields area of Glasgow came together on Sunday to hold a blessing, and congregation prayers, to mark the start of works on a new Sikh Gurdwara Temple. Deputy First Minister for Scotland Nicola Sturgeon MSP, local councillor Irfan Rabbani and former MP Mohammad Sarwar were all in attendance. The main contractor is CBC. 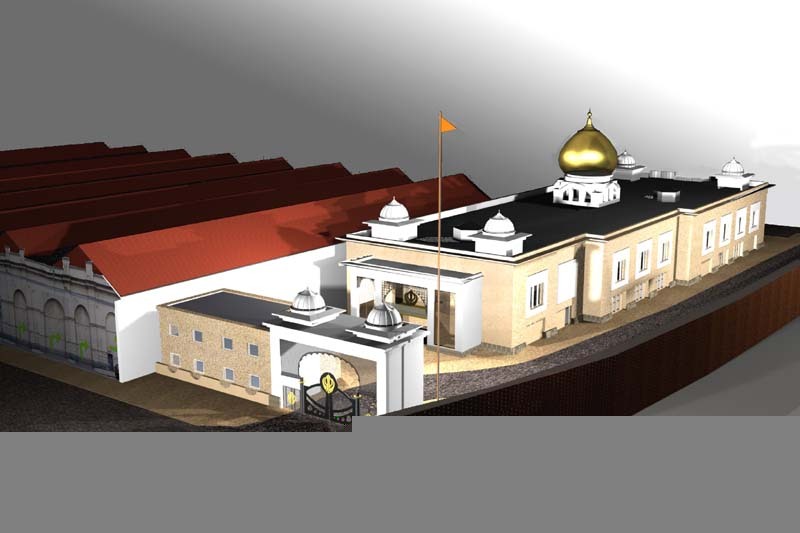 The design and build project is costed at £3.8 m.
The site of the new Gurdwara is located at the rear of the Tramway Theatre in south Glasgow, adjacent to the Hidden Gardens. On completion, this Sikh Temple will be accessed through a special gateway, and will have the capacity to accommodate 1,000 worshippers. CRGP Architects are pleased to have been recently appointed as architects for a proposed “Gurdwara” (Sikh Temple) located adjacent to the award-winning Tramway Theatre in Glasgow. As part of our planning application we have produced a 3D Studio visualisation, see above. The building will be sited adjacent to the Hidden Gardens at the back of the Tramway and is to accommodate 500 worshippers. The white-coloured temple, community centre and accommodation block are to be accessed through a white gateway above a marble plinth. There will be one gold and two white domes. The domed building planned for Berkeley Street will be one of Glasgow’s biggest public buildings. The Gurdwara will be the first purpose-built Sikh temple in Glasgow, accommodating 1500 worshippers. The site of the temple, near the Henry Wood Hall, is used as a car park but was previously part of the Glasgow Eye Infirmary destroyed in 1971. 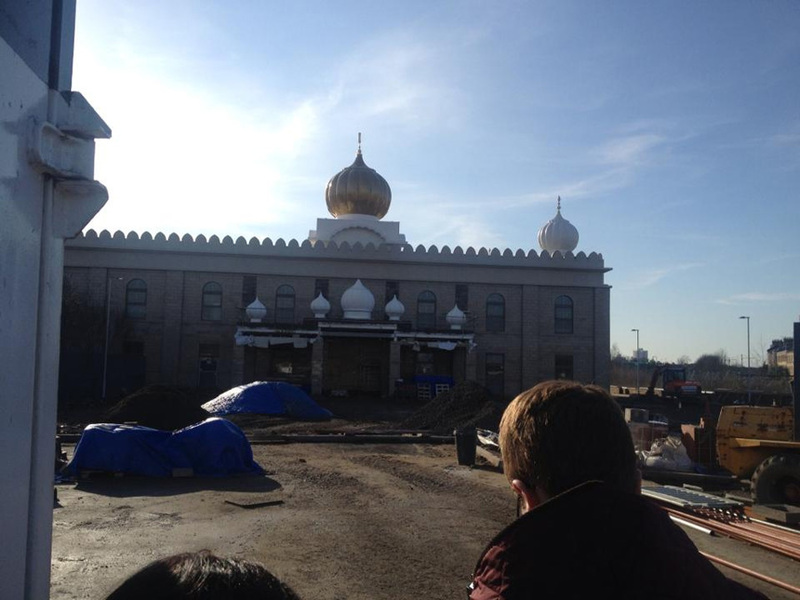 The new Gurdwara will be a place of worship, community centre, educational resource centre with classrooms, library, offices and a ceremonial pool. 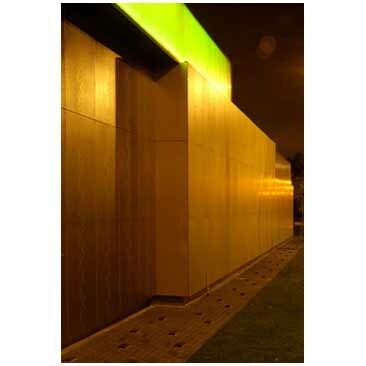 The building will be clad in polished limestone with the main dome made of grp. A total of 257 car parking spaces will also be provided over three floors in the temple. Construction is set to last around 18 months. 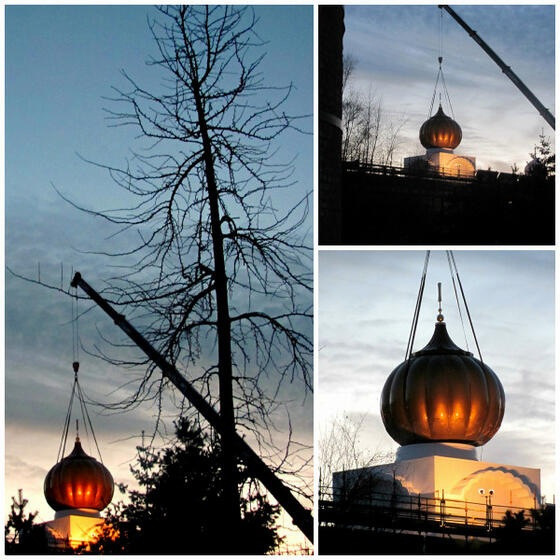 The existing temple in Berkeley Street will remain open until the new building is ready. It is one of four small Sikh temples in the city. There is a Sikh Sabha Temple at 163 Nithsdale Rd (due to close if the Pollokshields Gurdwara opens) and a Singh Sabha Sikh Temple at 32 St Andrews Drive.